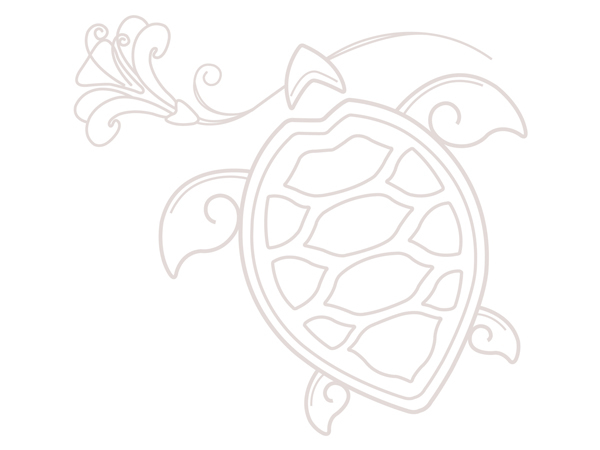 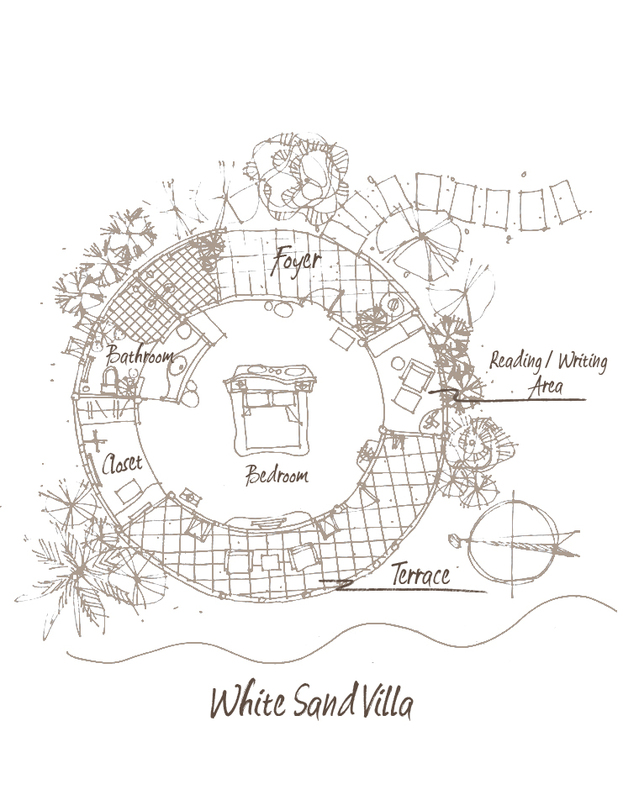 Whitesand villa is a round white clay brick villa. 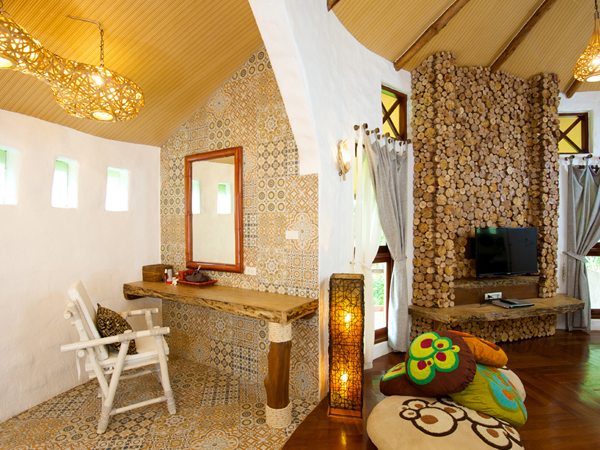 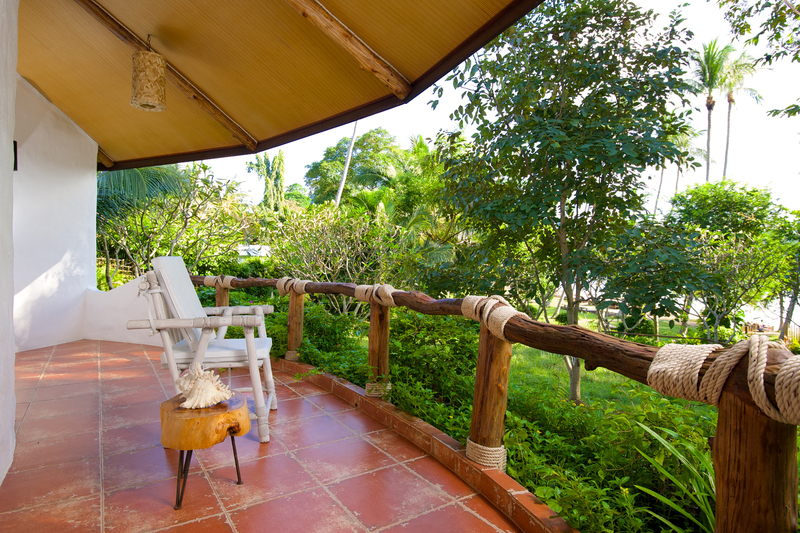 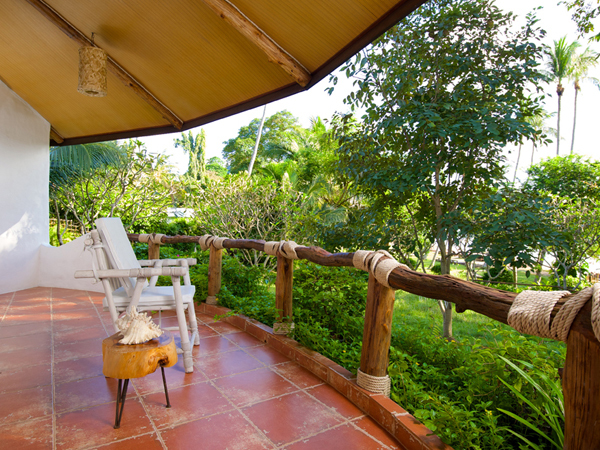 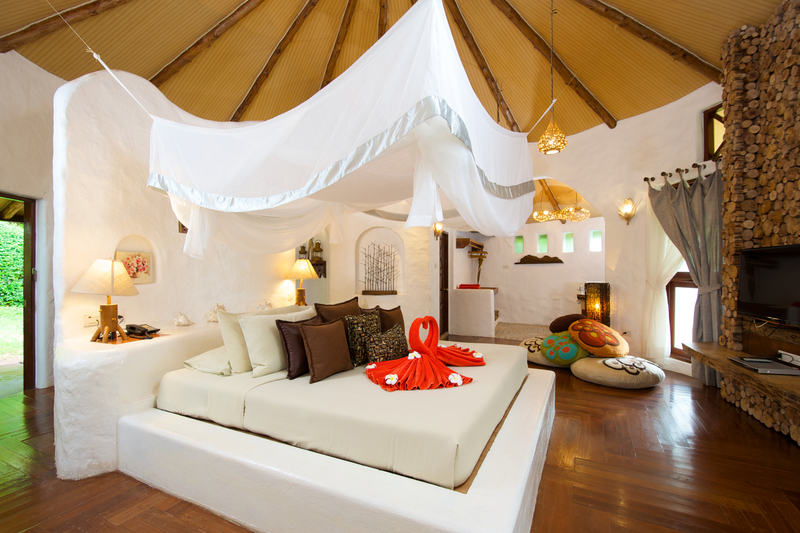 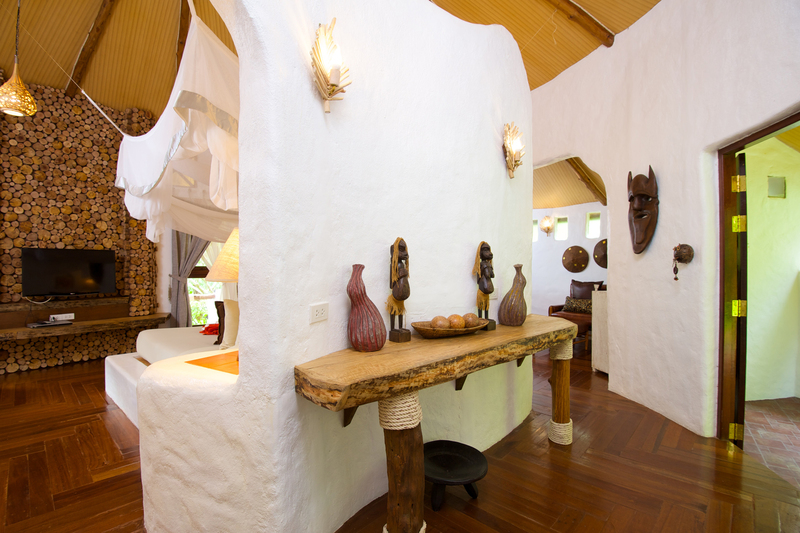 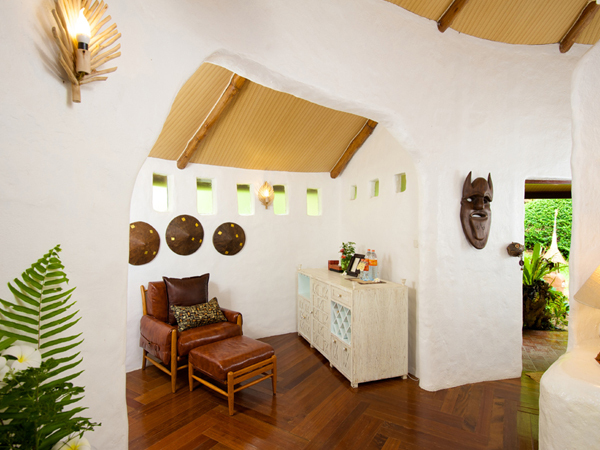 Each villa features king-sized bed, living area, dressing room, an open-air terrazzo bathrooms contained rainforest shower for your sensuality and serenity experience. 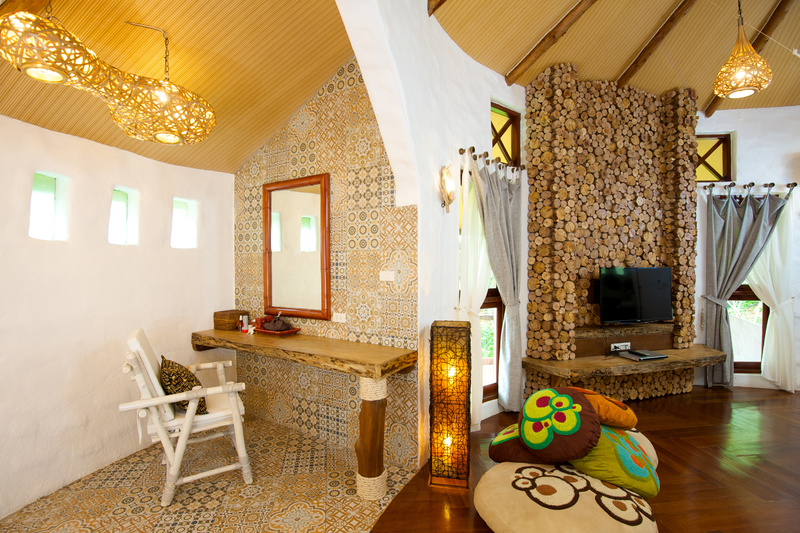 There is a charming bedroom opening to the large curved private terrace facing a turquoise-blue sea where you can spend the whole day just listening to the sound of waves and sea breeze underneath the sun.